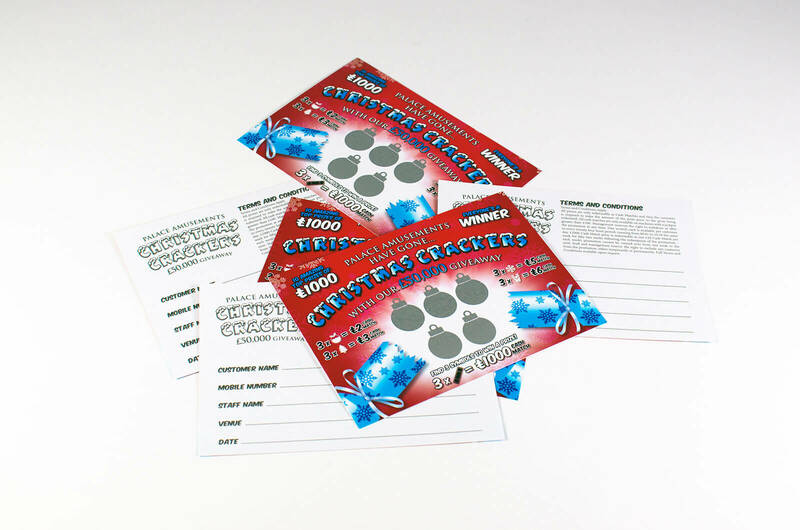 Our super scratch card product is a really versatile option – looks great and offers lots of space to make a really eye-catching scratch card game or design. 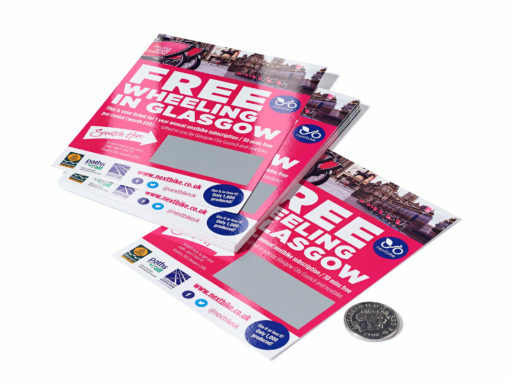 Receive FREE, super scratch card SAMPLES in the post, next working day! 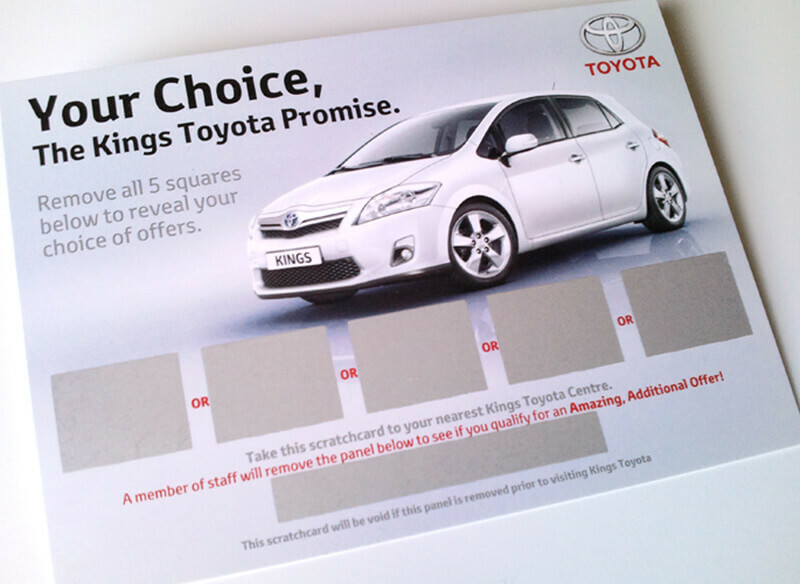 Click below, fill in your details and we’ll pop a sample pack in the post for you. Alternatively give us a call on 0800 412 5334, we’d be happy to discuss your requirements any time. For quantities of more than 5,000 please contact us using our enquiry form or give us a call free on 0800 412 5334. For quantities of more than 20,000 please contact us using our enquiry form or give us a call free on 0800 412 5334. For quantities of more than 25,000 please contact us using our enquiry form or give us a call free on 0800 412 5334. *Print Only prices assume that you will supply print-ready artwork using our InDesign templates. This is a budget option and is only suitable for professionals who are confident that they can supply artwork following technical guidelines. This is NOT suitable for aspiring designers or novices. Please see below for other options. How do the prizes work with super scratch card games? Many of our customers start out thinking they want a unique code or reference number under every scratch panel. We can do that, but in our experience it’s rarely necessary. We have devised a couple of different prize structures which offer enormous versatility at minimum cost. 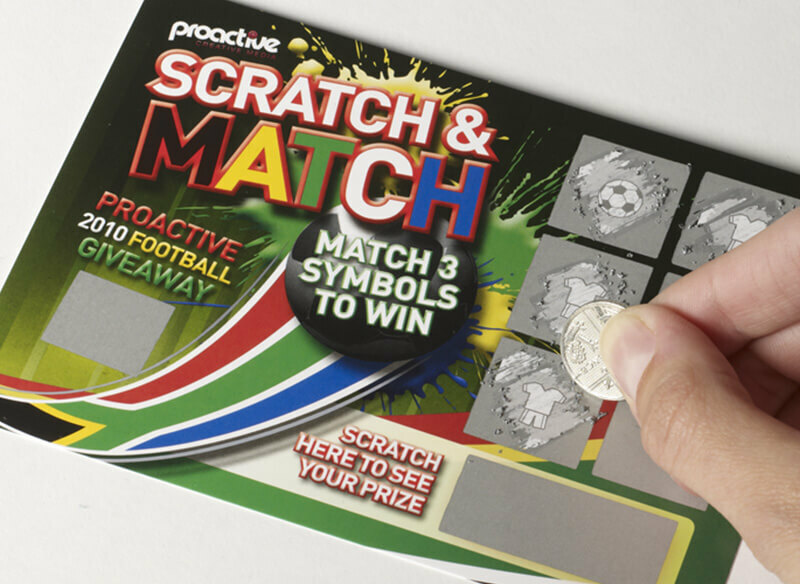 You can use a single design for your scratch cards. This means that every prize within the batch will be exactly the same. To use this method and have multiple prizes you would have to place multiple orders, with a different artwork each time. The great thing about this option is that you can order a minimum 250 cards! 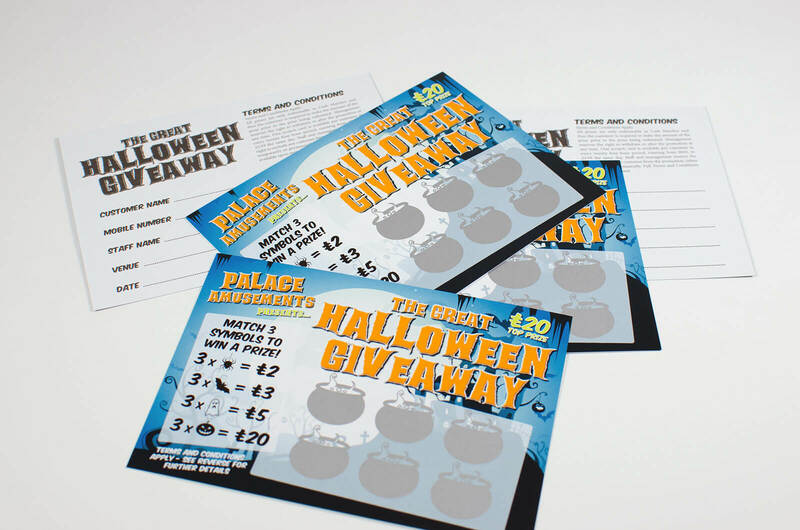 You can choose 5 different prizes, and order in quantities of 1000 cards. For example: 1000, 2000, 3000, etc..
Or you can choose each of the prizes – and you can duplicate categories if required, e.g. Please note: This game option is available for our regular scratch card and super scratch card only. Instead of 10 ‘hot’ cards’ we’ll give you 5 equal batches of 250 cards. 250 x You Win! £100 off your next order. Our quantities for this option increase in intervals of 1,250. E.g. 1,250, 2,500, 3750, etc.. But how will I know which is which when my scratch cards arrive? 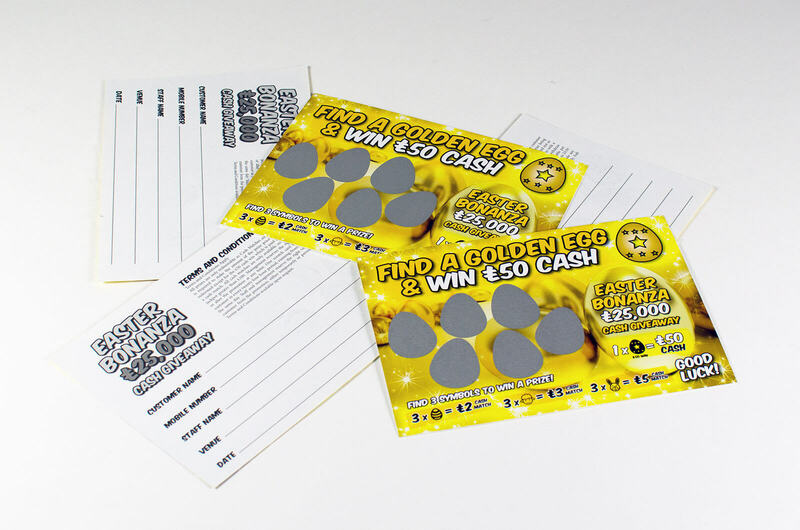 If you've requested an order with multiple prizes your regular scratch card delivery will be packaged in small bundles and labelled with their prize category (eg A, B, C, D or E). 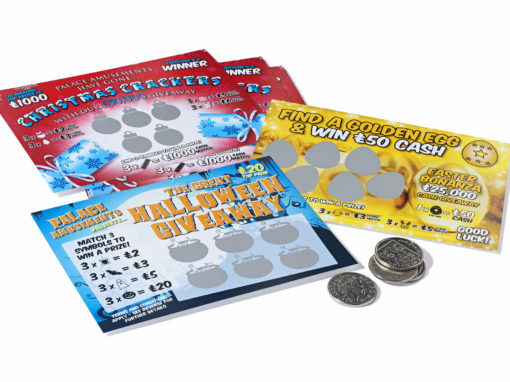 If you’re unsure about which super scratch card option will best suit your application, just give us a call on 0800 412 5334 and we will work out the best solution for you. 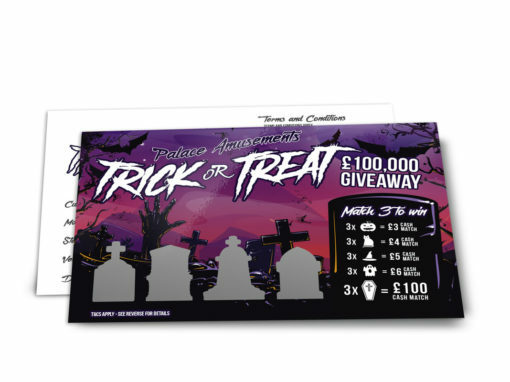 Read this helpful advice guide from CAP, then download our InDesign scratch card templates for scratch card printing and get designing - Remember we're here to help if you get stuck! 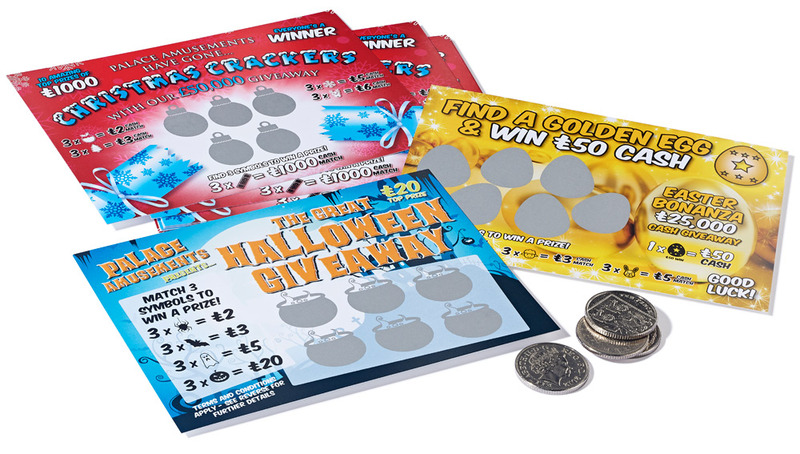 Download our scratch card printing templates for Regular, Super, A5, A6, A7, and DL size scratch cards. We can only supply templates for use in Adobe InDesign. 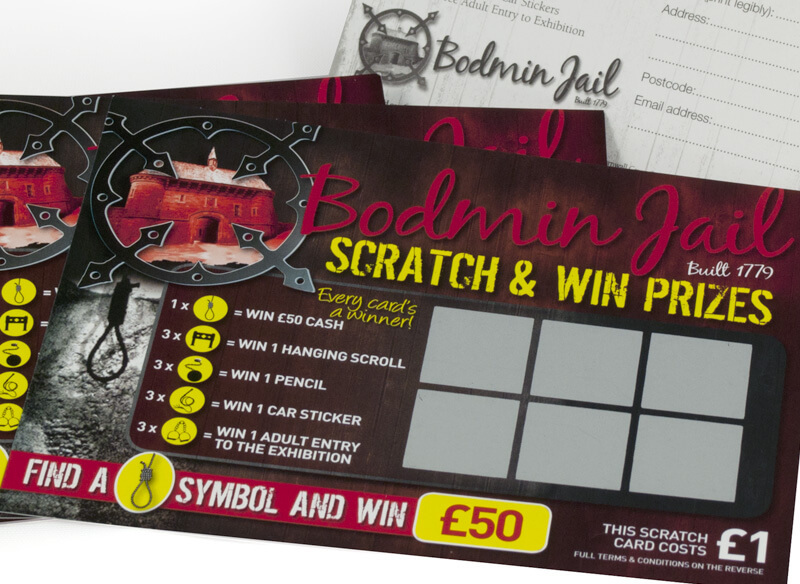 Itching to order a super scratch card job with us?